At the law firm of Aldrich Eike, P.C., in Portland, Oregon, we offer unmatched advocacy and support in a variety of practice areas in order to help our construction and commercial clients with virtually any legal need they may have concerning their businesses. Concentrating primarily on construction law, the attorneys at our law firm possess decades of combined legal experience in construction defect litigation, construction payment and performance claims, and other important matters. In addition, we also provide exceptional general counsel for business owners dealing with legal issues involving any area of business and real estate law, including contract negotiations, and we will fight hard to protect your rights and interests in all areas of commercial litigation such as product liability litigation, insurance coverage and more. Originally founded in 2000 by experienced attorney Dean Aldrich, our law firm has become the trusted source for many across northern Oregon and southwestern Washington, and we have received top ratings and numerous awards and honors for our professionalism and service. 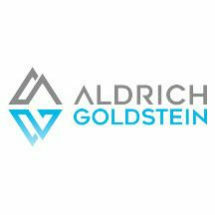 Throughout our history, we have handled hundreds of complex construction cases, resulting in many multimillion-dollar recoveries for those we have served, and we have helped establish Aldrich Eike, P.C., as one of the leading law firms in the region for construction defect law and litigation. If you are dealing with an issue that threatens to undermine your development or adversely affect your company's operations, you can receive a free initial consultation concerning your situation by calling our law office or visiting our website to schedule an appointment.